I Am in San Diego! Lutheran theologian Dietrich Bonhoeffer, who was executed for plotting against Hitler, is in vogue today. Much of what people are so excited about in his writings is simply Lutheran spirituality. Michael Gerson writes a fine column about Bonhoeffer’s reflections from a Nazi prison on Christmas. What Bonhoeffer is saying–the inversions, the paradoxes, the repudiation of power (of great interest in a postmodern apologetic)–is an application to Christmas of Luther’s theology of the Cross. The appeal of Christmas to a prisoner, from one perspective, is natural. Christmas upends the normal calculations of power and influence. This is not merely a sentimental insight. In Bonhoeffer’s view, this revelation about the character of God involves a kind of judgment. This means, of course, that nearly all of us are judged—convicted by our indifference to the needs of others and sentenced to our own sour, self-flagellating company. Modern people, surrounded by violence and oppression, presented with morally conflicted choices, are not in need of an ethical system. They are in need of hope. And that sets a limit on our own effort. In the Christian view, the door was swung open by the incarnation, by a God who somehow became a defenseless child, a refugee, a teacher of good, a victim of injustice, left alone, tired, in doubt to face a humiliating death. From San Diego this year! 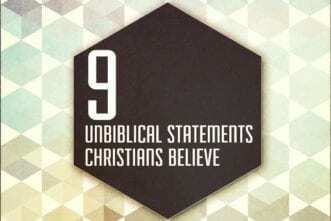 There are many things that Jesus-following, church-going, Bible-believing Christians believe that are completely unbiblical. This statement is actually anti-Gospel. Self-reliance and self-righteousness, or the attitude of trying harder and doing better, actually gets in the way of the work of God. Jesus saves those who die to themselves: “Then Jesus told his disciples, “If anyone would come after me, let him deny himself and take up his cross and follow me” (Matthew 16:24). 2. God wants me to be happy. It’s a common belief that God exists to be our “personal genie,” waiting to give us our every wish. It’s amazing how we will justify our sinful actions by saying, “God just wants me to be happy.” Happiness is tied to feelings and emotions that are often based on circumstances, and those change all the time. God wants us to be obedient to Him, trust Him and know that everything He does is for our good, even if it doesn’t make me feel “happy” in that moment. “And we know that for those who love God all things work together for good, for those who are called according to his purpose” (Romans 8:28). 3. We’re all God’s children. Although God has created everyone … not everyone relationally belongs to Him. Only those who have repented of sin, placed their faith in Jesus Christ as their Lord and Savior, and possess the Holy Spirit of God inside of them can claim Him as their Father: “But you have received the Spirit of adoption as sons, by whom we cry, “Abba! Father!” The Spirit himself bears witness with our spirit that we are children of God” (Romans 8:15b–16). Hard times come with hard questions, and our cultural context exerts enormous pressure on Christians to affirm common ground at the expense of theological differences. But the cost of getting this question wrong is the loss of the Gospel. The answer to that question depends upon a distinctly Christian and clearly biblical answer to yet another question: Can anyone truly worship the Father while rejecting the Son? The Christian’s answer to that question must follow the example of Christ. Jesus himself settled the question when he responded to Jewish leaders who confronted him after he had said “I am the light of the world.” When they denied him, Jesus said, “If you knew me, you would know my Father also” (John 8:19). Later in that same chapter, Jesus used some of the strongest language of his earthly ministry in stating clearly that to deny him is to deny the Father. Christians and Muslims do not worship the same God. Christians worship the triune God, Father, Son, and Holy Spirit, and no other god. We know the Father through the Son, and it is solely through Christ’s atonement for sin that salvation has come. Salvation comes to those who confess with their lips that Jesus Christ is Lord and believe in their hearts that God has raised him from the dead (Romans 10:9). The New Testament leaves no margin for misunderstanding. To deny the Son is to deny the Father. 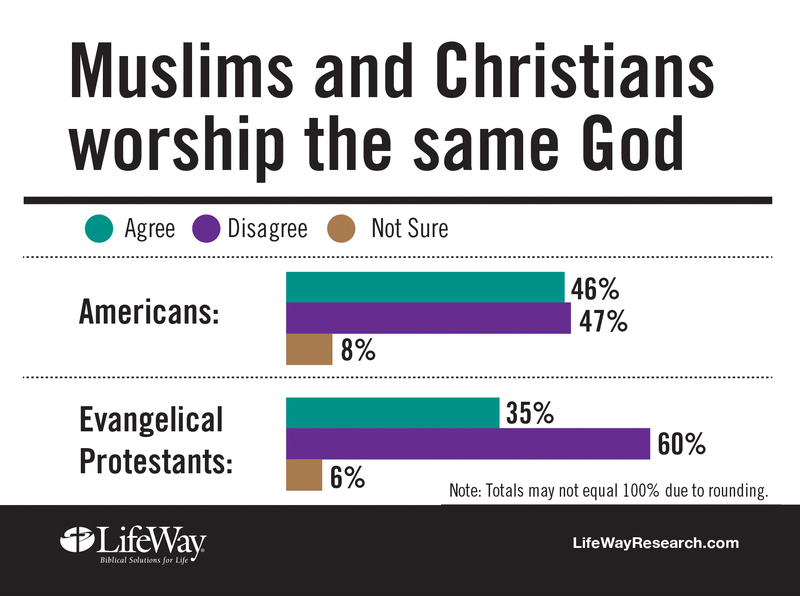 To affirm this truth is not to argue that non-Christians, our Muslim neighbors included, know nothing true about God or to deny that the three major monotheistic religions — Judaism, Christianity and Islam — share some major theological beliefs. All three religions affirm that there is only one God and that he has spoken to us by divine revelation. All three religions point to what each claims to be revealed scriptures. 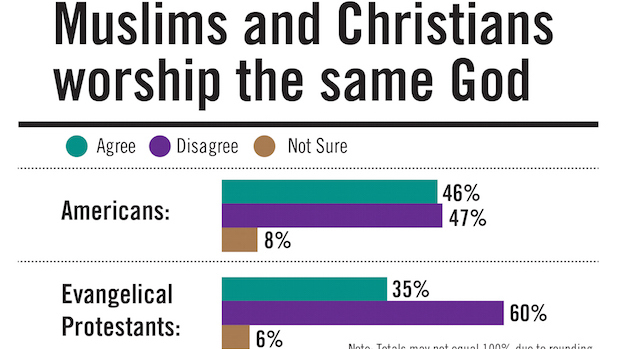 Historically, Jews and Christians and Muslims have affirmed many points of agreement on moral teachings. All three theological worldviews hold to a linear view of history, unlike many Asian worldviews that believe in a circular view of history. And yet, when we look more closely, even these points of agreement begin to break down. Christian trinitarianism is rejected by both Judaism and Islam. Muslims deny that Jesus Christ is the incarnate and eternal Son of God and go further to deny that God has a son. 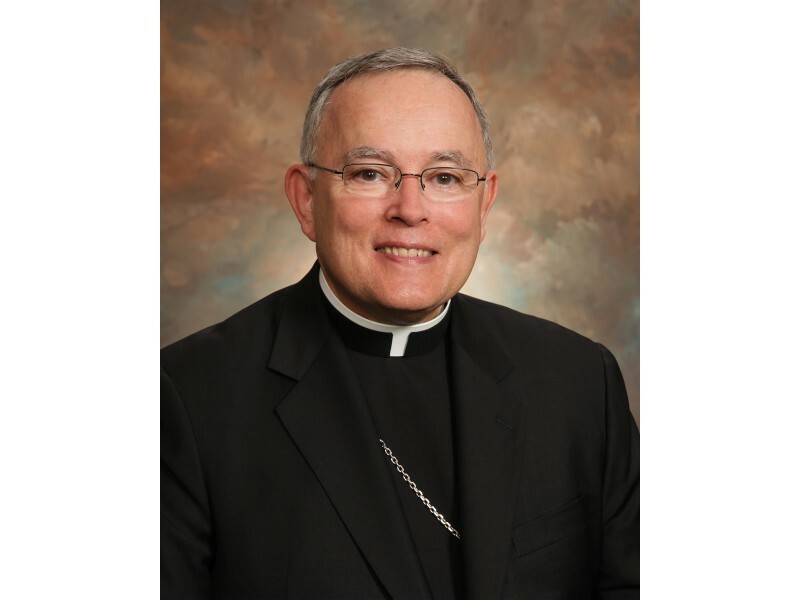 Weekly column by Archbishop Charles J. Chaput, O.F.M. Cap. As we enter the last few days of Advent before we rightly give our hearts over to the joy of Christmas, we might take a few minutes to consider two brief passages from the past about the deeper meaning of the season. We have become so accustomed to the idea of divine love and of God’s coming at Christmas that we no longer feel the shiver of fear that God’s coming should arouse in us. We are indifferent to the [Advent] message, taking only the pleasant and agreeable out of it and forgetting the serious aspect, that the God of the world draws near to the people of our little earth and lays claim to us. The coming of God is truly not only glad tidings, but first of all frightening news for everyone who has a conscience. Only when we have felt the terror of the matter can we recognize the incomparable kindness. God comes into the very midst of evil and death, and judges the evil in us and in the world. And by judging us, God cleanses and sanctifies us, comes to us with grace and love. God makes us happy as only children can be happy. God wants to always be with us – in our sin, in our suffering and death. We are no longer alone; God is with us. The world today needs people who have been shaken by ultimate calamities and emerged from them with the knowledge and awareness that those who look to the Lord will still be preserved by him, even if they are hounded from the earth. The Advent message comes out of an encounter of man with the absolute, the final, the gospel. It is thus the message that shakes – so that in the end, the world shall be shaken.